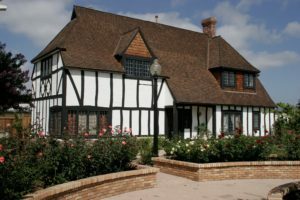 The Lemon Grove Historical Society – through the generous support of our membership and donors – houses a significant collection of documents, photos, artifacts, furnishings and art work pertaining to the history of Lemon Grove. Portions of our archives are available for review by appointment at our H Lee House Cultural Center reading room. Detailed information about research rules and fee schedules is available. For additional information about our holdings, call or contact as above. Approximately twenty-five (25) linear feet of archival materials were transferred to San Diego State University in the late 1970’s and early 1980’s. These materials are housed in the Special Collections & University Archives section of the University Library and are open for research. The Society seeks to expand its holdings and welcomes donations of historical interest. Help us save the past.